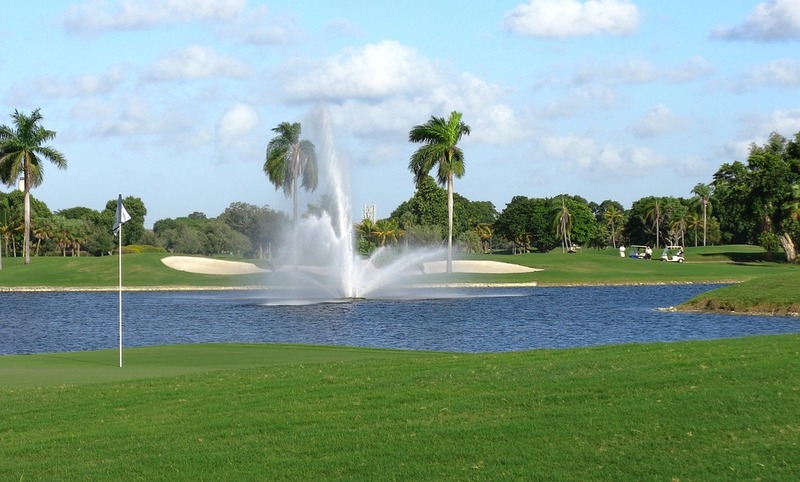 The 2018 QBE Shootout golf tournament on the PGA Tour is taking place this week from December 7-9, 2018, at the Tiburon Golf Club located in Naples, Florida. Here is a list of the prize money up for grabs for the PGA golfers this week at the 2018 QBE Shootout. The QBE Shootout features 12 teams of two players each competing over three days using scramble play in the opening round, followed by modified alternate shot on day two and better ball play on day three. This event dates back to 1989. It is a unofficial PGA Tour money event. The team of Sean O'Hair and Steve Stricker are the defending champions. LPGA golf star Lexi Thompson is playing against the PGA players this week for the third year in a row. Lexi is once again teamed up with Tony Finau this week. Total prize money up for grabs at the 2018 QBE Shootout is $3.4 million. That's up 3% over last year. All 24 players will earn a paycheck this week as long as they finish the tournament with the last place finishers earning at least $79,000 each. The money here is pretty good especially for Lexi Thompson. Only three LPGA Tournaments offer a purse over $3.4 million. The winners of the 2018 QBE Shootout will each earn $422,000. That's up 3% over the $410,000 amount of prize money that Steve Stricker and Sean O'Hair each earned last year when they won this event.